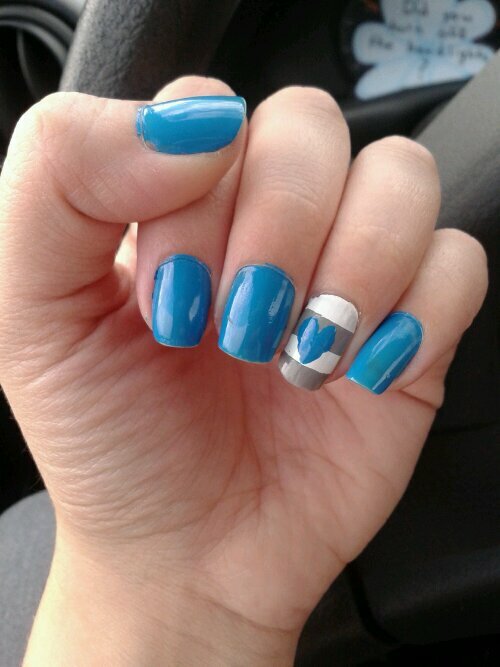 Got a new blue and tried out a Pinspiration. Perfect! This was the runner up from my nail polish poll. I found a tutorial for how to paint a heart on Pinterest, which you can find here. The yellow is NYC “Lexington Yellow” and the hearts are done in NYC “Sidewalkers”. What was nice about these colors are these are from the “In a New York Minute” line, which is their quick dry line and they are dry in about 5 minutes. This is another design I found on Pinterest and you will find the original website if you click on the picture. 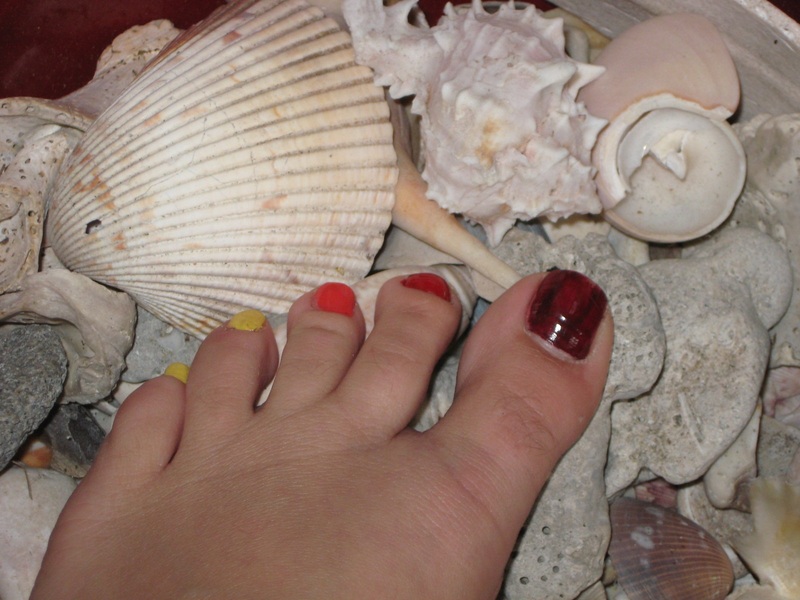 I decided I wanted to redo my toes as well and decided to do the design which lost the vote I did on my Facebook. This design did not get any votes, poor thing, but I’ve been wanting to try an ombre style. The colors are NYC (quickdry) “Lexington Yellow”/ NYC “Times Square Tangerine Creme”/Sinful Colors “Ruby Ruby”/NYC (quickdry) “Lincoln Center”. So my gold finally gave up the ghost. But it did last through my nail polish rack build. Which means I finally got to use my new grey which I was really excited about. 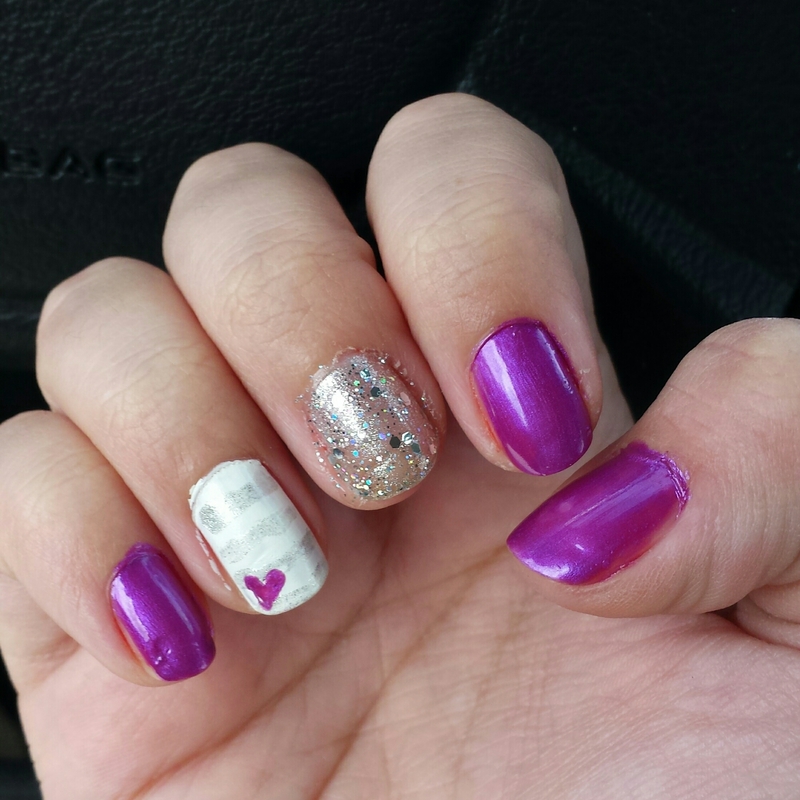 I did alternate colors on my nails and toes and the opposite color in a heart. It’s not quite dry yet, so I hope I don’t mess up the hearts.